There are a variety of ministry opportunities available at Englewood UMC for people of all ages and with all interests and callings. We believe that we are all gifted in different ways, and are each called by God to use our gifts to build up our community of faith. We know there is a place for you to get involved at Englewood and use your gifts to bless others! Click on any of the links below to discover more about these ministries that are part of Englewood UMC! Englewood UMC is home to the Tri-County Autism Support Group. 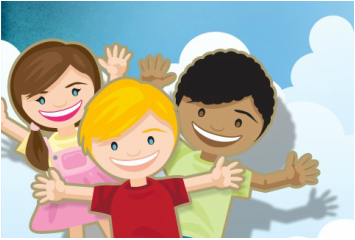 We are hosting a support group for children with Autism and their families. Our goal is to provide a community where all are welcome and celebrated as part of God's family! 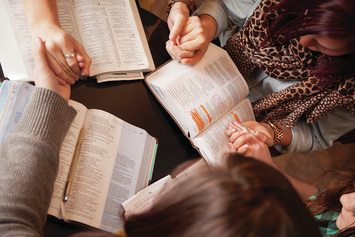 As part of our mission of "Making Disciples of Jesus Christ for the Transformation of the World," we believe in the importance of Bible study and small group involvement. We have a number of groups that are currently gathering for fellowship and study, and we are always open to new small groups developing! This ministry aims to provide a nurturing environment in which our young people can learn, grow, and develop relationships with one another, with their leaders, and with God. The adult leaders for our children's programs are caring, devoted teachers who love sharing the love of Jesus with others. ​Englewood UMC is excited to begin offering ministry activities for college students! College is an extremely formative experience, and it is our goal to help students stay connected to their faith through this journey of self-discovery. We can't wait to welcome these college students into our community! ​Reaching out in love and service to the world is a call that is felt strongly by the members of Englewood UMC. From visiting care facilities to tutoring children, we have service opportunities for every member of the family. It is our sincere desire to show the love of God to the people of our community and the world. FEAST is a weekly small group program where we meet for fellowship and devotion time. Each group decides when and where they meet, which provides flexibility. This is a wonderful opportunity to strengthen our community and grow in our faith. The music ministries of our church include the chancel choir, adult handbell choir, and a praise band called Psalm Tree. 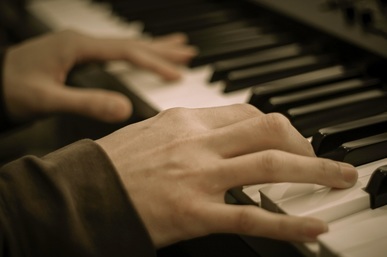 These groups practice weekly and participate in worship regularly. We welcome anyone who desires to make a joyful noise to the Lord! 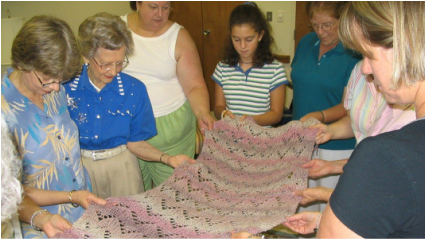 Women of all ages gather to create the beautiful works of art that are the prayer shawls, prayer blankets, and chemo caps. These gifts are provided as comfort to those who are undergoing an illness, surgery, or another need. 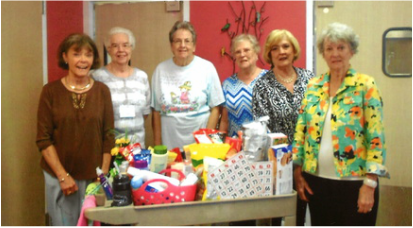 We have a very active group of senior adults at Englewood UMC who enjoy getting together for fellowship, meals, outings, and other activities. We would love to have you join us! These organizations for men and women are active in both the discipleship of their members and in service to the larger communities. Visit this page to learn more about the many projects these groups support and how you might get involved. We have a great group of youth at our church, and we offer a number of opportunities for them to be involved in church life. We have weekly meetings for fellowship and Bible Study, and our students are especially involved in missions and service projects in the community and around the world.